Growing a medicinal herb garden is essentially the same as growing any garden. You do, however, need to figure out what herbs you want to grow. Then, when the plants have matured, harvesting and using or storing the herbs for later use is the final step. If your local gardening store does not have the medicinal herbs you want to grow, you can order seeds or plants from an online herb store. Herbs can be used fresh to make medicinal tea or dried for making tea later. When using roots or woody parts of herb plants, a decoction is made by simmering the herb for some time, usually from 15-30 minutes, and then straining off the liquid from the herb or herbs. Be sure to use a ceramic or glass pot. Metal cookware should not be used for preparing decoctions. Valerian, Passion Flower, Skullcap, and Chamomile for relaxation and better sleep. Sweet Annie, Baikal Skullcap, Barberry, Meadowsweet, Marshmallow, Licorice, and Ginger for digestion. Saw Palmetto, Pygeum Bark, Horsetail, Pipsissewa, Echinacea, and Marshmallow for male prostate issues. St. John’s Wort for emotional issues. Reishi for boosting the immune system. Milk Thistle benefits the Liver. Dang Gui, Angelica, Ginger for women’s health. Hawthorn, Motherwort, Skullcap, and Cayenne are good for the cardiovascular system. 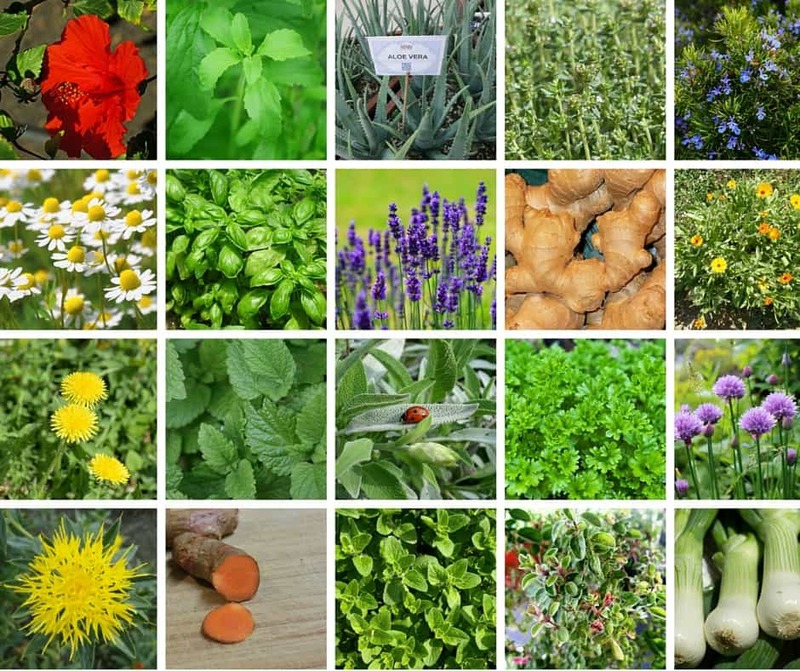 There are many other herbs to choose from when growing medicinal herbs, and this is just a small sample of some possibilities for your garden. Ideally, you should choose herbs that will have the greatest potential for success in your particular climate and garden conditions.